An opposition presidential candidate in the Democratic Republic of Congo has filed an appeal in the constitutional court against last month’s poll result. Martin Fayulu insists he won the vote and has demanded a manual recount, but the electoral commission declared rival Felix Tshisekedi the winner. Troops have deployed near Mr Fayulu’s residence and outside the court. He accuses Mr Tshisekedi, also an opposition candidate, of making a deal with outgoing President Joseph Kabila. Mr Fayulu arrived on Saturday at the court. On Saturday, Mr Fayulu repeated that the result did not reflect “the truth of the ballot boxes”. The electoral commission also said the pro-Kabila coalition had won a majority of parliamentary seats. 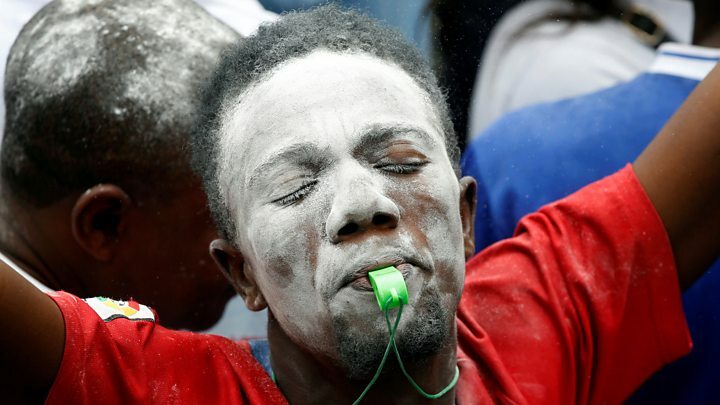 Several Western governments and the influential Roman Catholic Church in DR Congo have expressed surprise and concern at the declared results. Dozens of Fayulu supporters had gathered outside his residence in the capital, Kinshasa, to chant slogans against Mr Kabila and Mr Tshisekedi. However they fled inside the building when the security forces arrived on Saturday, Reuters news agency reports. Mr Fayulu admitted his court challenge would have little chance of success as the constitutional court was “composed of Kabila’s people” but he said he did not want to give his opponents any chance to say he had not followed the law. “Felix Tshisekedi has been nominated by Mr Kabila to perpetuate the Kabila regime. Because today the boss is Kabila,” Mr Fayulu said. 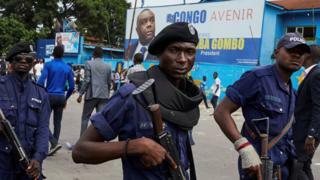 Mr Fayulu said he feared there would be violence if the electoral commission did not give the true figures “polling station by polling station” and that it was the right of all Congolese to demonstrate according to the law. Has there been any violence? Thousands of supporters of Mr Tshisekedi took to the streets to celebrate but those who backed Mr Fayulu also came out in protest. Protests were also reported in Kisangani but the south, where Mr Tshisekedi has broad support, was mainly celebrating. According to the National Electoral Commission (Ceni), Mr Tshisekedi received 38.5% of the vote in the 30 December election. Candidates must file any appeal to the constitutional court within 48 hours of the announcement of the provisional results. Judges will then have seven days to deliberate. Constitutional expert Jacques Ndjoli told the BBC there were three possible outcomes: the court could confirm Mr Tshisekedi’s victory, order a recount, or cancel the results altogether and call fresh elections. The constitutional court has never overturned results before, and some think most of its judges are close to the ruling party. If Mr Tshisekedi were confirmed as the winner, he would be expected to be inaugurated within 10 days.